I’n delighted to be hosting – aka interrogating – F.T. Lukens today. 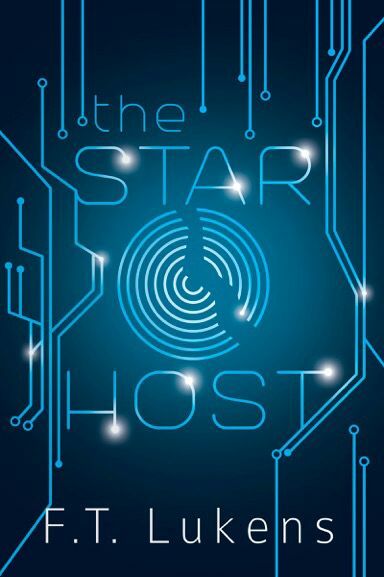 F.T is the author of The Star Host, published earlier this month. As ever, we start these things off easy, to lull victims into a false sense of security. Hi F.T., thank you for agreeing to this interview. Tell us a little about yourself, your background, and your current book. Hi, everyone. This is F.T. and I’m excited to share with you my debut young adult novel, The Star Host. 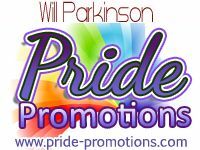 It is a science fiction adventure which features a bisexual main character and a diverse cast of characters. The story follows Ren as he is taken from his home, discovers he may be a being out of myth, and attempts to save his family and friends. The nicest thing anyone has ever said came from my husband. When he was reading the final version of The Star Host, he came out of our bedroom and said, “While I was reading this, I forgot you wrote it.” I know this doesn’t seem like glowing praise but it is. The way he explained it was that when he began reading, the fact that his wife wrote it was always present in the back of his mind. However, a few pages in, he got wrapped up in the story, and that thought dropped away. About halfway through, he stopped and thought “Oh wow, my wife wrote this.” It really made my day. There has to be a good reason we keep them around. Good for him! So, are you a full-time or part-time writer? How does that impact your writing? I am a part-time writer. I have a full-time day job and I have three kids. I would love to write full-time but it’s not possible for me right now. It does impact my writing. Instead of having an eight hour day to do a writer’s job, I only have about two hours a day and the time is either very early in the morning or very late at night. So I’m not as prolific as I’d like to be. And don’t forget that a writer’s job isn’t just writing. It’s managing social media, making blog posts, scheduling appearances, etc etc. On to The Star Host. What interested you about the theme of this book? I wanted to give an LGBTQ teen an adventure. I wanted to show that LGBTQ kids can be heroes. Their stories don’t always have to be centered on their sexuality. And while those stories are important and necessary, I wanted to give a bisexual teen an adventure. The most difficult part of writing for me, as mentioned above, is finding time to do it. It’s difficult to try and write a story when I’m not fully caffeinated, or when I’ve been at work all day and I’m tired. I do have to mention though that when I’m invested in what I’m working on, the words usually pour out very quickly. I wrote The Star Host in only four months. And just for a bit of fun, what are your four most important food groups? Funny, but whenever I have to answer that last question, it always features four types of chocolate! Ren grew up listening to his mother tell stories about the Star Hosts – a mythical group of people possessed by the power of the stars. The stories were the most exciting part of Ren’s life, and he often dreamed about leaving his backwater planet and finding his place among the neighboring drifts. When Ren is captured by soldiers and taken from his home, he must remain inconspicuous while plotting his escape. It’s a challenge since the general of the Baron’s army is convinced Ren is something out of one of his mother’s stories. He finds companionship in the occupant of the cell next to his, a drifter named Asher. A member of the Phoenix Corps, Asher is mysterious, charming, and exactly the person Ren needs to anchor him as his sudden technopathic ability threatens to consume him. Ren doesn’t mean to become attached, but after a daring escape, a trek across the planet, and an eventful ride on a merchant ship, Asher is the only thing that reminds Ren of home. Together, they must warn the drifts of the Baron’s plans, master Ren’s growing power, and try to save their friends while navigating the growing attraction between them. Once at the hangar, Ren broke away from the two guards and entered the lancer, walking up the stairs, irritation a heavy feeling in his chest. “Reporting for work,” Ren said, his tone heavily laced with annoyance. She poked a finger hard into Ren’s chest and he staggered back, and rubbed his hand over the spot. Ren frowned. His tolerance for the cryptic nonsense everyone had spouted since he arrived was gone. He took a step toward the hull and Janus stiffened. He moved closer to the hull, hand outstretched, fingers splayed. Ren slammed his hand against the hull, his fingertips leaving greasy marks on the shiny surface. As he predicted, nothing happened. His word tangled in his throat, cut off, because suddenly, Ren was consumed with power, rushing from his toes to his fingertips. A blue tint clouded his vision, and his body suffused with golden warmth. And then he was floating amongst the wires, connected to the ship, to the energy source, to everything. The lancer pulsed under his skin, tangling in his veins, its systems integrated with his senses. It was freeing and frightening. His consciousness raced along the circuits and he could fix it. He could fix everything. He found the tangle of wires in the artificial gravity system and bypassed it. He found the broken circuits in the air recyclers and with a pulse of power, refurbished them. He saw the static in the com system, a physical entity, and he cleared it away with a brush of his metaphysical hand. The longer Ren floated through the ship, the less connected he was to his physical body. And if he thought about it, he didn’t need his body. Why would he need his body? He was free here. He moved around with ease, the wires and the systems his route, and the more he pushed, the more he felt the other ships too. They were nearby, on the edge of his perception, and he could go to those, he could jump to the other ones and repair them too. F.T. wrote her first short story when she was in third grade and her love of writing continued from there. After placing in the top five out of ten thousand entries in a writing contest, she knew it was time to dive in and try her hand at writing a novel. A wife and mother of three, F.T. holds degrees in psychology and English literature, and is a long-time member of her college’s science-fiction club. F.T. has a love of cheesy television shows, superhero movies, and science-fiction novels—especially anything by Douglas Adams. Connect with F.T. at authorftlukens.wordpress.com on Twitter @ftlukens, on Tumblr at ftlukens.tumblr.com and on Goodreads at goodreads.com/ftlukens. This excerpt grabbed me and pulled me right in! I know! I love the premise of this one.